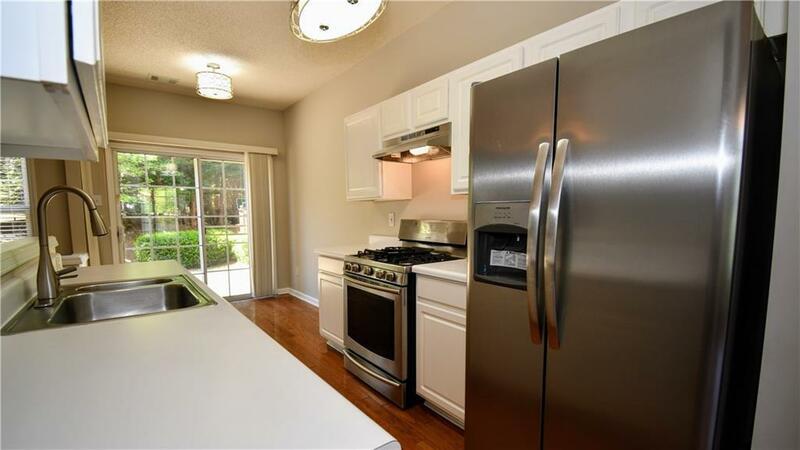 Fabulous end-unit townhome in sought after Creekside at Mansell! Fresh & cheery, this open-concept floor plan features spacious living room w/ fireplace. 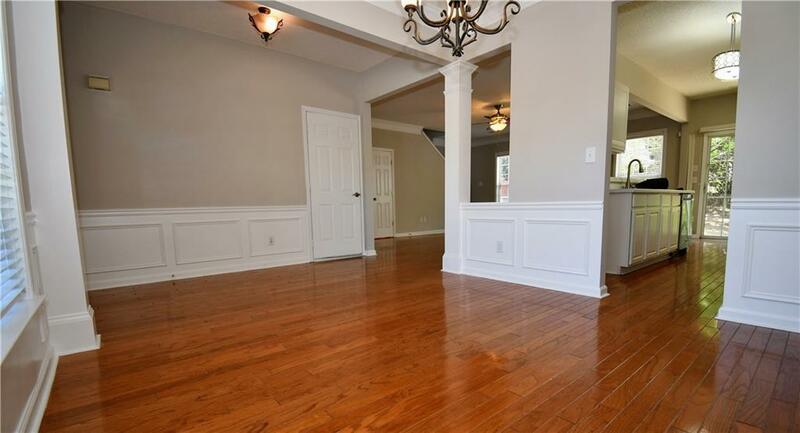 Gorgeous hardwood flooring on main level, and fresh paint throughout! Attached 1-car garage! Kitchen opens out to patio area fit for grilling. 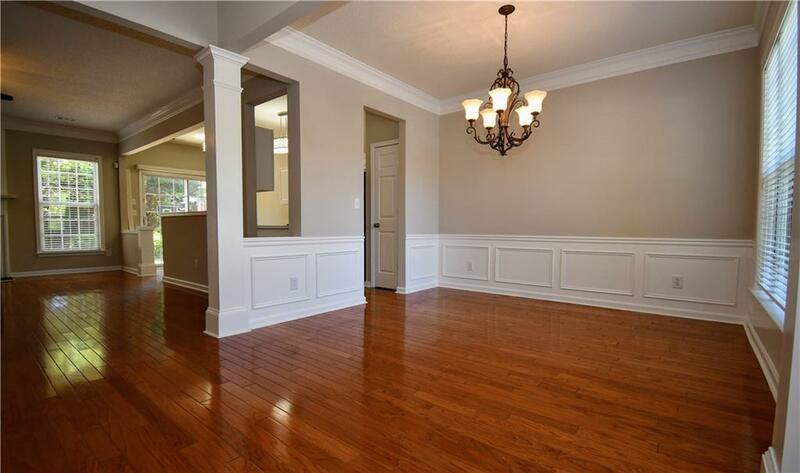 Master bedroom features vaulted ceilings & walk-in closet, w/ spacious master bath boasting double vanities & garden tub. W/D included. 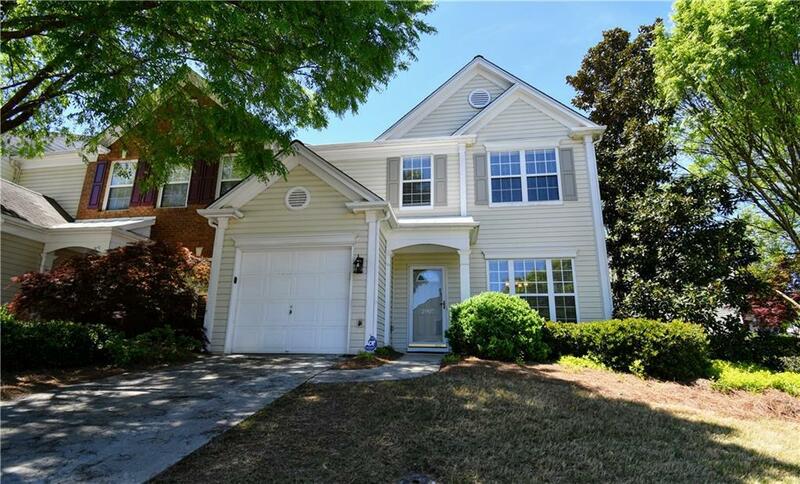 Fabulous location in top-notch Milton HS district & close to GA-400, shopping & dining. Home available for immediate move-in!